Is Lumia Emerald the next firmware update? The thing about rumours is that it’s nigh on impossible to prove or disprove them at the time and afterwards, when reality bites, most people won’t apologise for misleading. 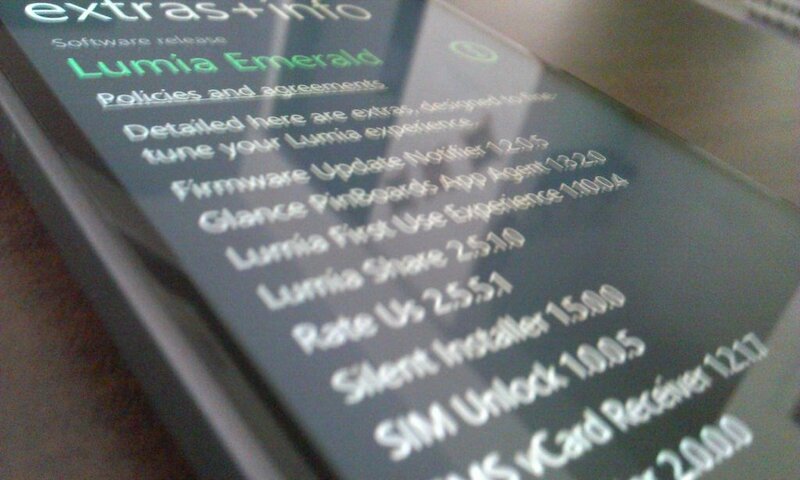 Take this one with a large pitch of salt but the next version of firmware to hit Lumia phones will supposedly be called ‘Emerald’. Shaky screenshot is above. As some nameless commentators have observed, this must be correct as Lumia phones, wait for it, come in green! Actually it matters not one jot what it’s called given that the supposed leaksters haven’t revealed any details of what this update will include. So whether it is true or not the release barely counts as exciting for two reasons: we know that there will be further OS updates; and this rumour doesn’t tell us what or when. In other words, thank you for reading this and I hope you’re now none the wiser. Just don’t blame us!